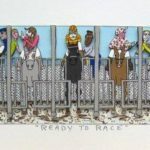 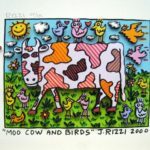 Over his long career he created hundreds of prints, paintings and drawings and has put his art on lots of other impressive things, like buildings, airplanes, cars and cows. 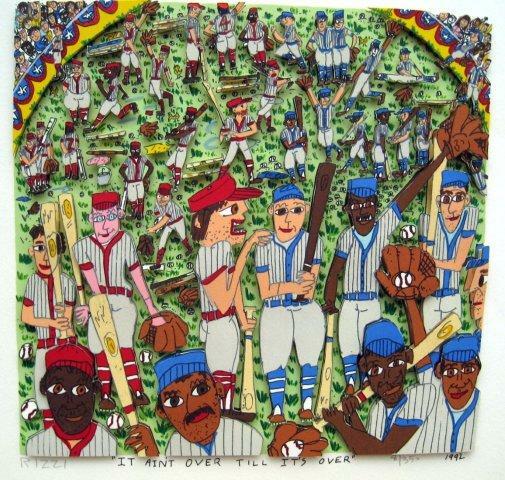 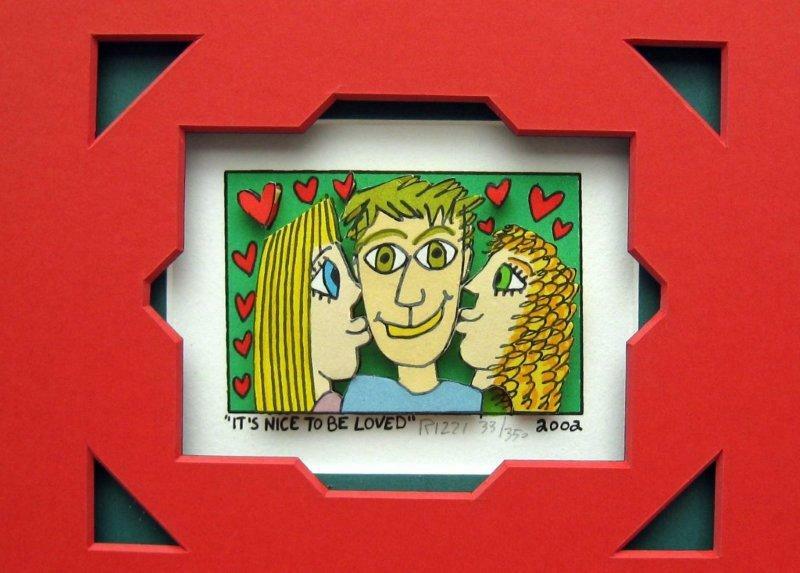 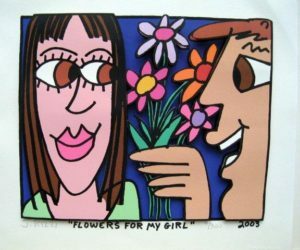 He designed album covers, CD’s, stage sets and animated videos for the rock group The Tom Tom Club. 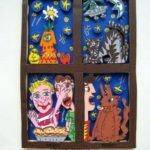 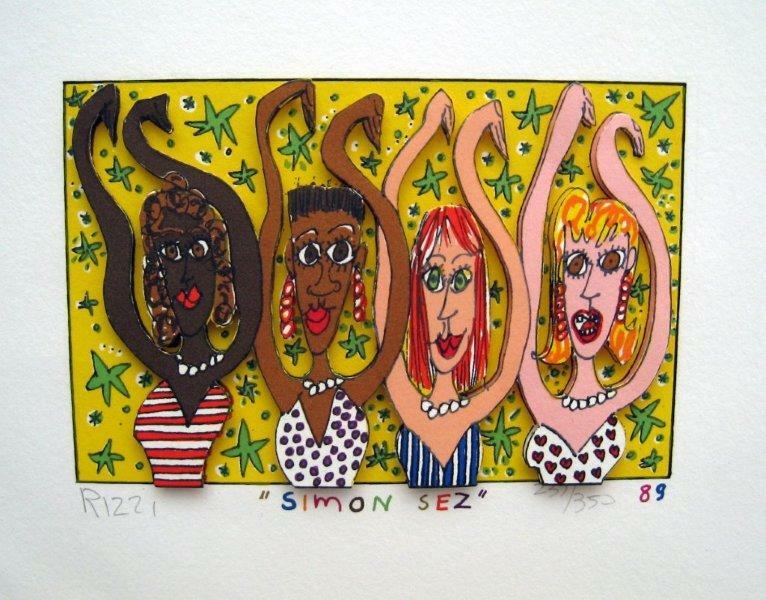 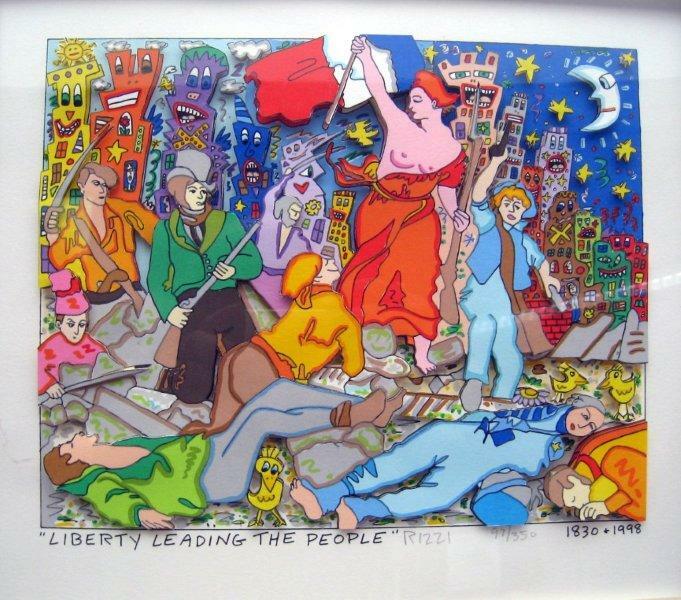 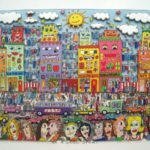 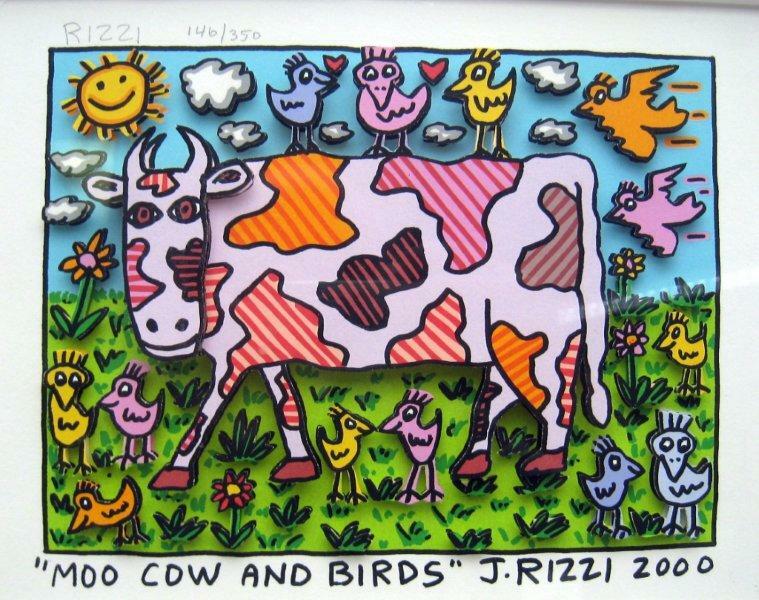 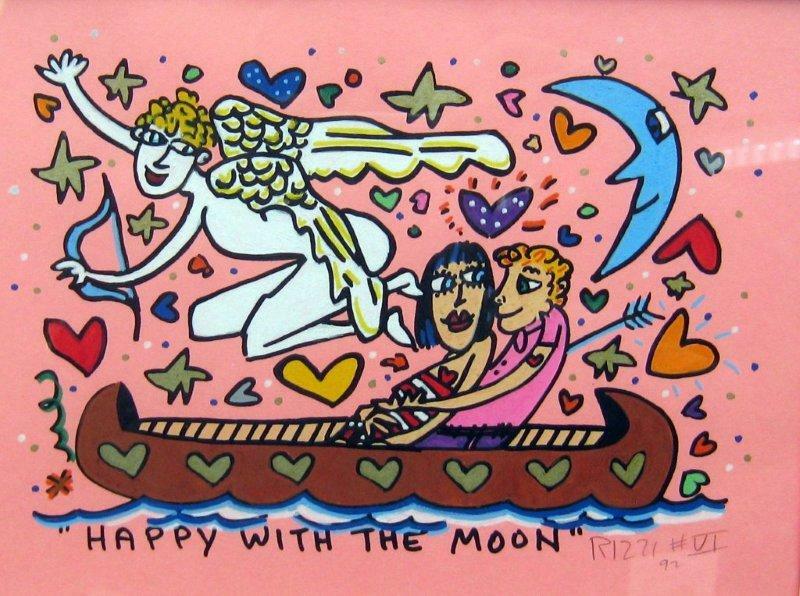 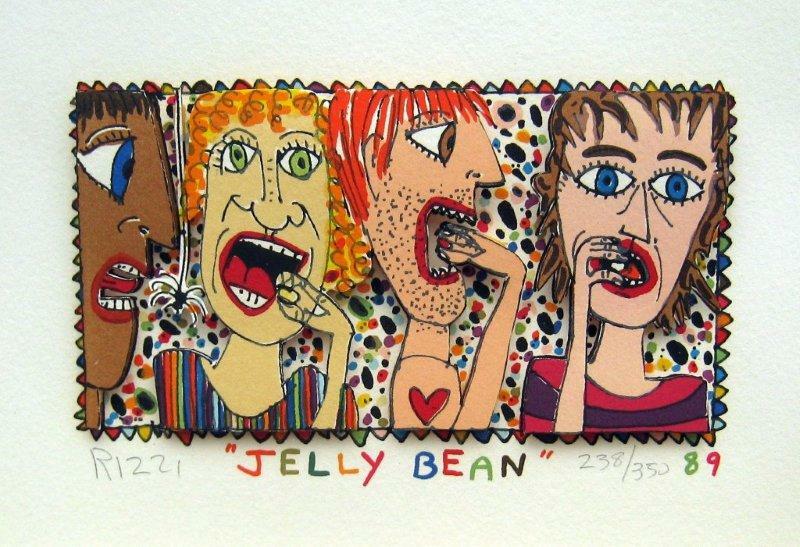 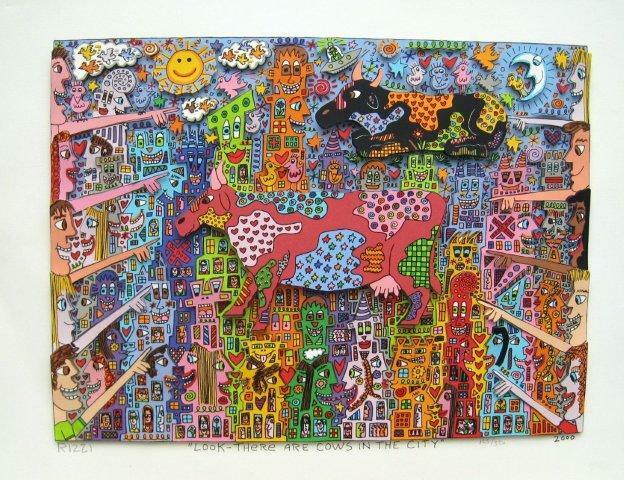 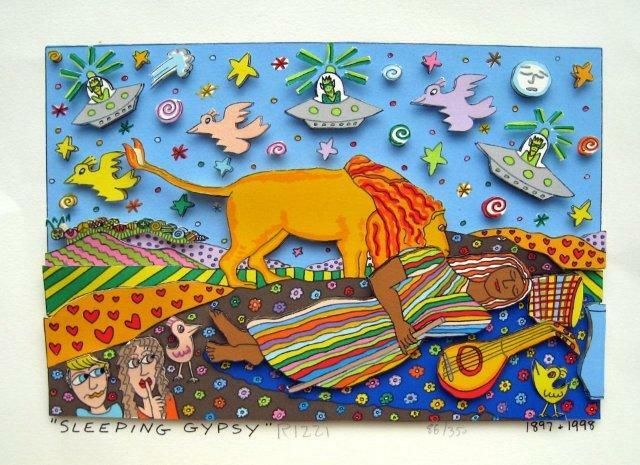 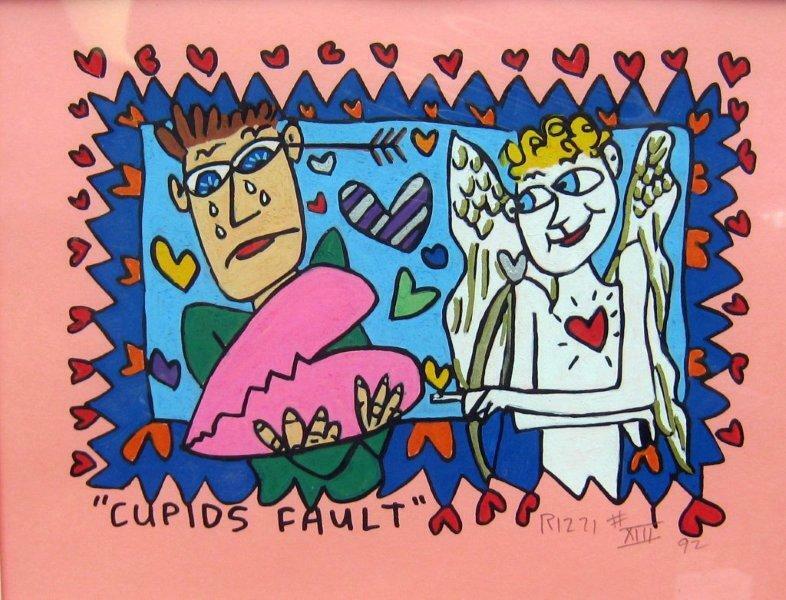 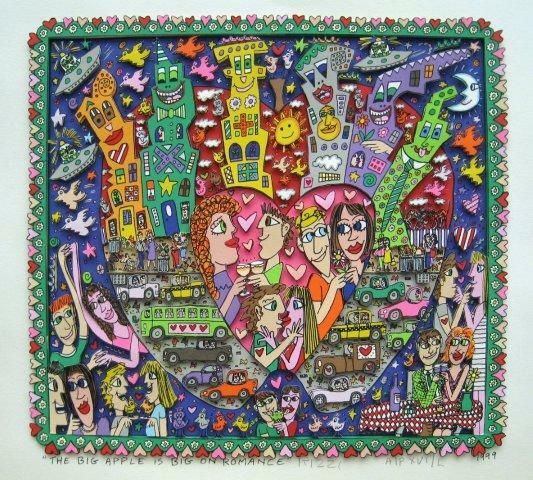 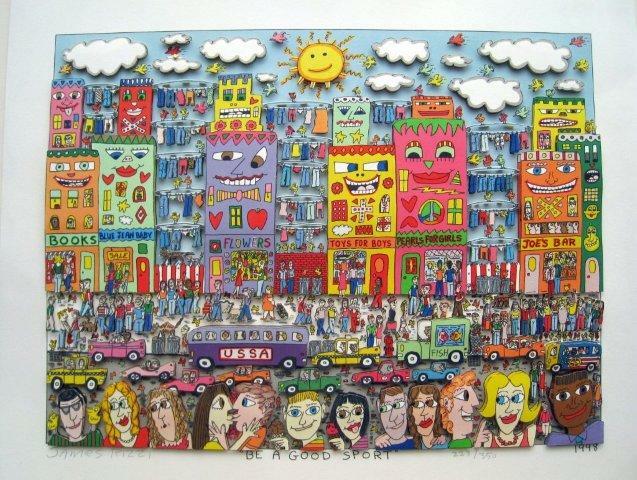 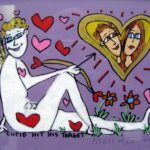 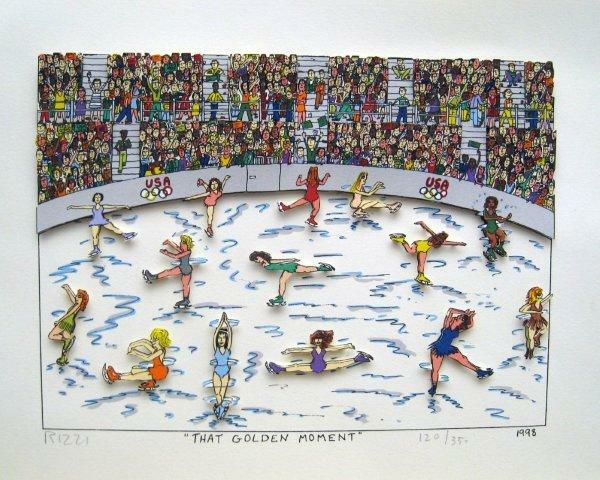 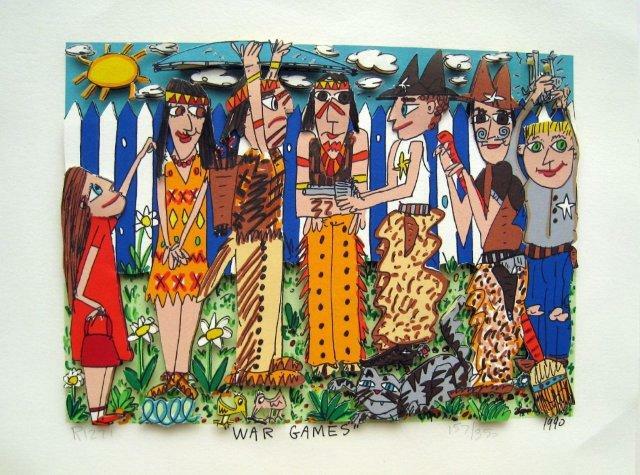 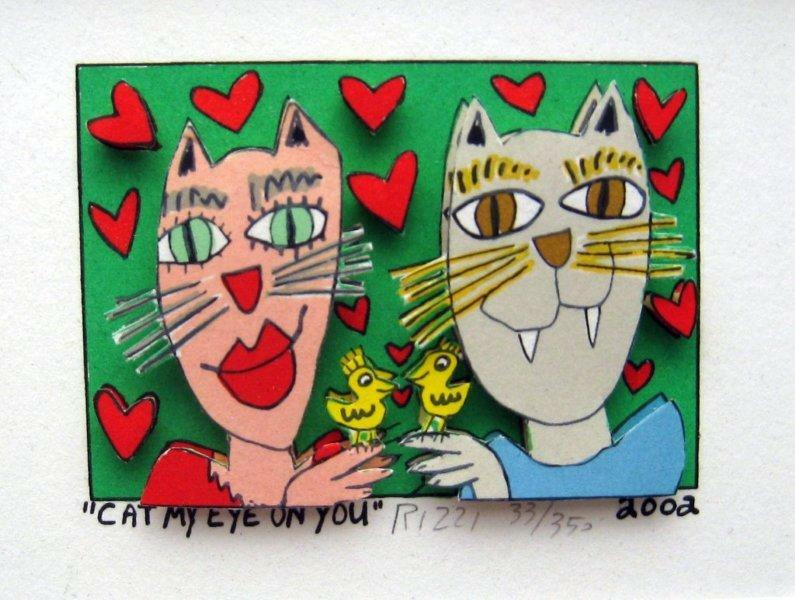 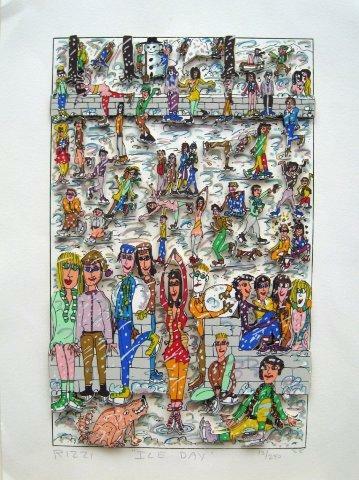 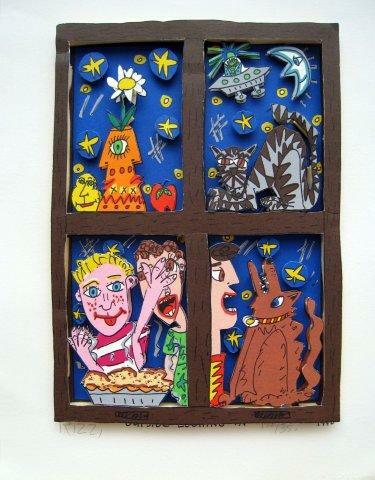 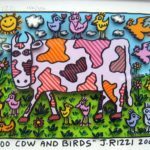 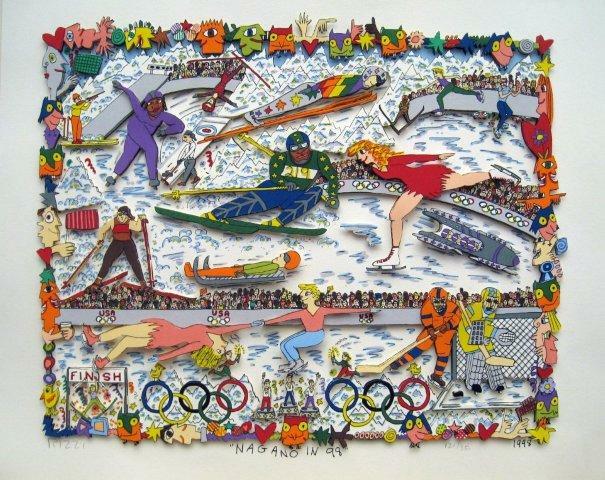 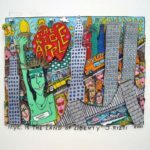 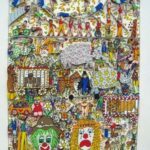 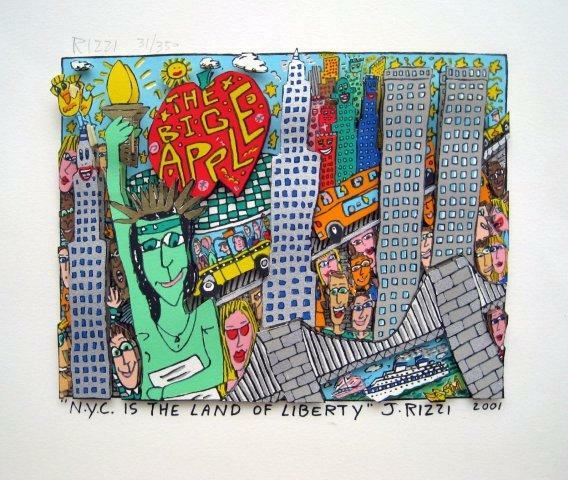 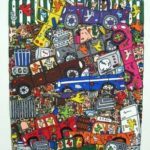 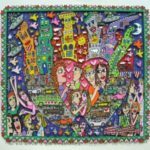 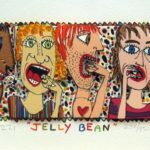 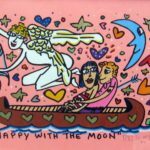 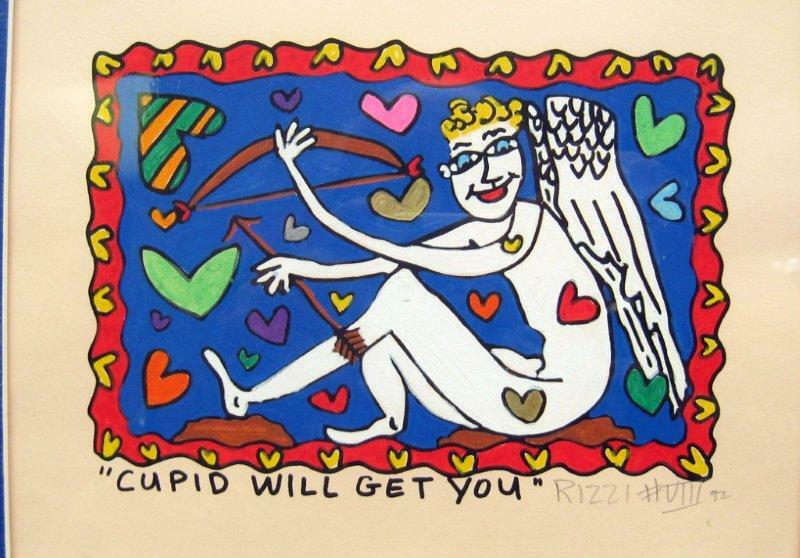 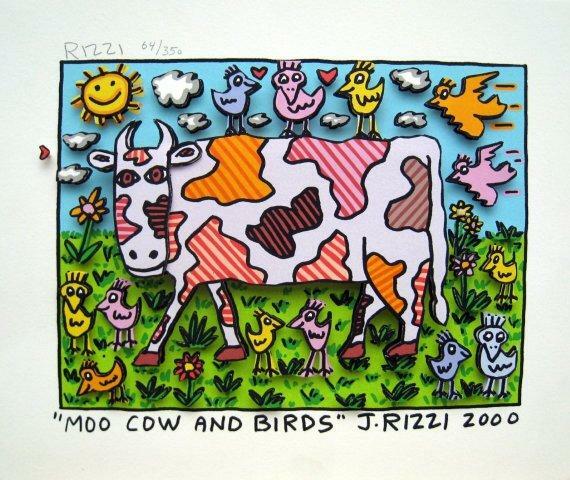 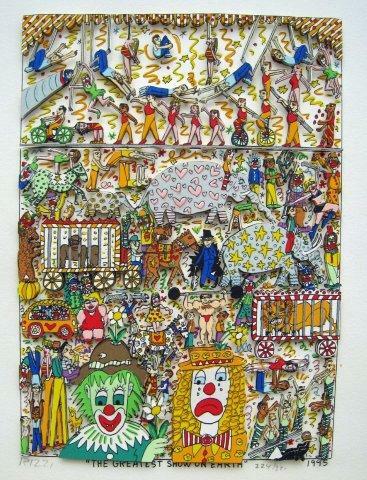 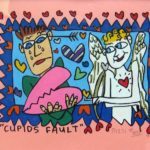 James Rizzi was born in Brooklyn, NY studied at the University of Florida (Gainesville) where he began experimenting with painting printmaking and sculpture. 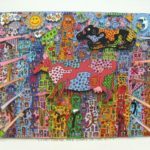 His goal to combine all three of these techniques in his work, an aim finally realized in his now well known 3-D constructions. 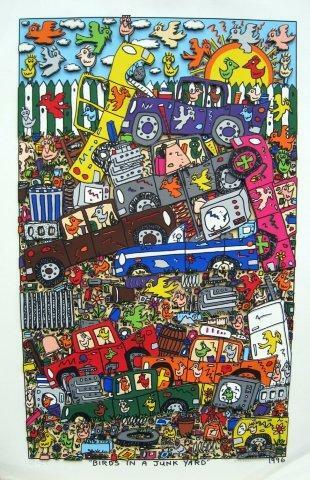 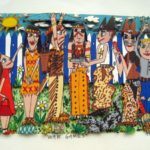 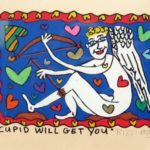 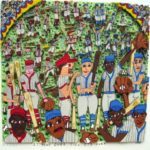 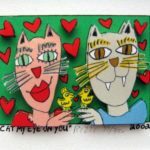 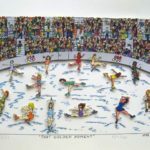 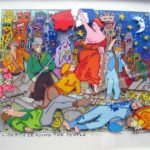 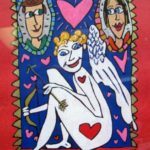 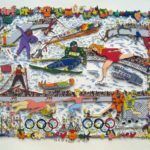 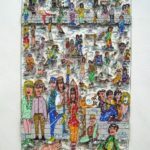 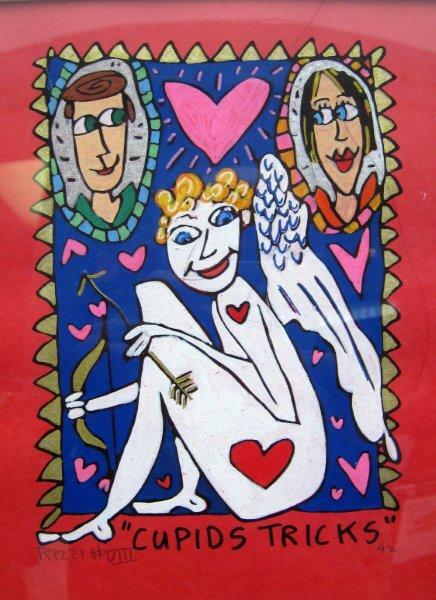 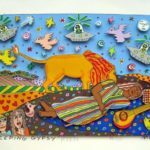 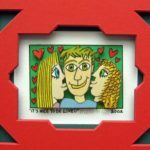 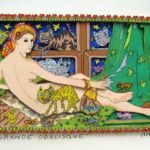 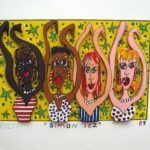 Rizzi’s consistent style is reliably uplifting, regardless of location or era, his work resonates simple happiness and remains relevant, honest and provides a child like mirror through which we are invited to view society.